There are probably three figures in the French Revolution who most fascinate the well-informed everyperson. Georges Danton is my absolute favourite, for a bunch of complex reasons. Maximilien Robespierre is the one that a lot of people know of and blame for the Terror. I’ve read biographies of both of them in the last f ew years. And then there’s Jean-Paul Marat, often regarded as the epitome of demagoguery, inciting the poor uneducated masses to insane levels of violence. I’ll start with a drawback of this book. The first is a direct consequence of its size: at 155 pages, there’s not room to go into great detail about very much (Conner neglects to mention the massacre of the Swiss Guard in the second storming of the Tuileries, which struck me as odd but I’ll concede it didn’t directly have much to do with Marat). Unfortunately this is hard to remedy, as he himself points out that there are only two other biographies of the man in English – he wrote one and doesn’t think much of the other. I can understand some people being dismayed by this authorial intrusion. But if you hadn’t got that Conner is a bit of a radical himself, then you haven’t been reading very carefully. And if you’re reading the biography and being dismayed by Marat’s politics, then you’re probably not going to agree with this anyway (NB I don’t mean his methods but his ideology). This is a wonderfully readable biography of a quite astonishing man. 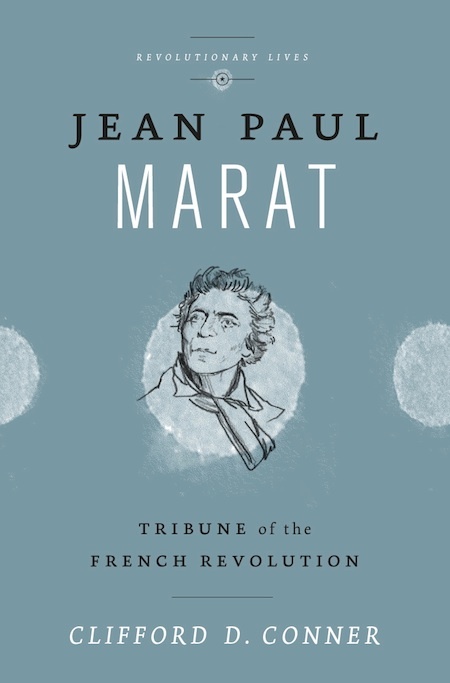 Marat was a doctor and an experimental physicist and a journalist and a politician and an intensely passionate advocate for social change (even before the Revolution). He dealt with a chronic skin disease (it’s apparently unclear what this was), and police harassment (occasionally warrants were for possibly-real issues, sometimes it was plain censorship and targeting). He was too radical for his times and thus often a voice crying in the wilderness; he would still be regarded as too radical, I would suggest. Conner sets out his life neatly and clearly. There’s just enough detail about the French Revolution that I think you could read it cold… but I know too much to actually be a reliable judge of that. I’m really glad to add this aspect – the man who was revered by much of the menu peuple, who too often get ignored even in histories of the French Revolution where they had a fundamental role.